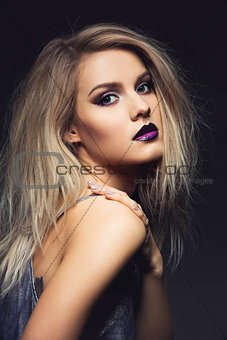 Image Description: Beautiful young woman with dark purple eye make-up and lips. Modern fluffy styled blond hair. Studio beauty shot over black background. Copy space.